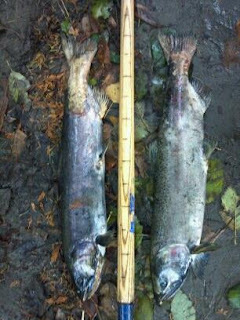 Rachel Vasak,executive director of the Nooksack Salmon Enhancement Association, reported on November 16, 2012 that about 12 coho have been spotted in Terrell Creek recently. She has also received reports from a landowner on the creek that he has seen “a lot of chum in the creek by his house” over the past three years. Anyone living in the Terrell Creek watershed, or interested in enhancing the creek to restore the salmon run, please contact us at ChumsofTerrellCreek@hotmail.com and become a Chum.